Today’s guest blogger is not one of our usual suspects. Until today! He got to work. And now any of us can print EXACTLY what we want onto fabric. So when it comes to making skirts we can design our own prints or choose from thousands that are ready to use — and THEN we can choose the “substrate”. Are you thinking of a quilting cotton? Organic sateen? Linen cotton canvas, cotton silk, poplin, interlock knit… they’re all at the ready. It’s kind of mind-bogglingly cool. If you haven’t met Spoonflower yourself yet, I can’t recommend it highly enough. Even if you’re not into designing yourself, the browsing is just sooooo fun, and no matter what print you choose, you can apply it to whatever type of fabric is best for your project. I love this look at some of the people behind Spoonflower and their fabric choices. Head on over to hear about skirts, designers and fabrics straight from Kim! 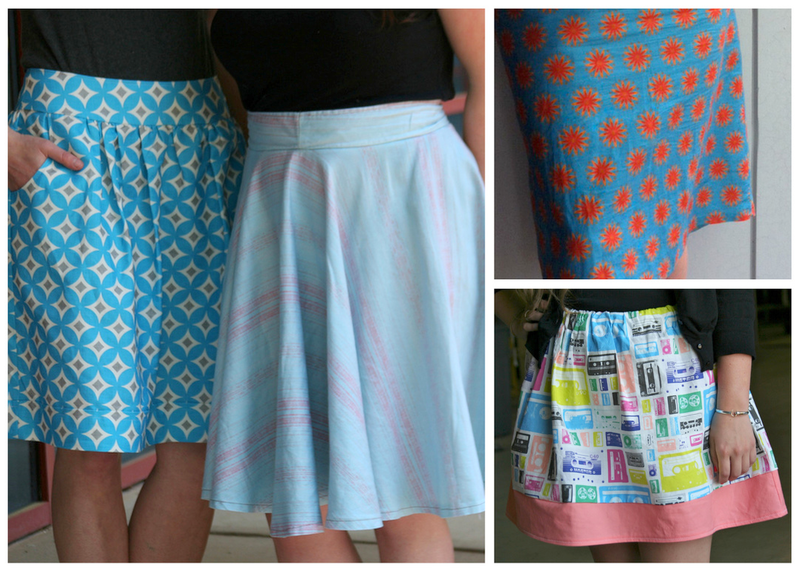 There’s also a super cute Spoonflower Skirts flickr pool here for you to enjoy!